EBC GreenStuff is a high friction based pad compound designed to improve stopping power on sport sedans and prestige cars for on highway use. The GreenStuff range emits less dust than equivalent semi metallic pads and has been proven in tests to stop a vehicle 20 feet sooner than using stock pads. 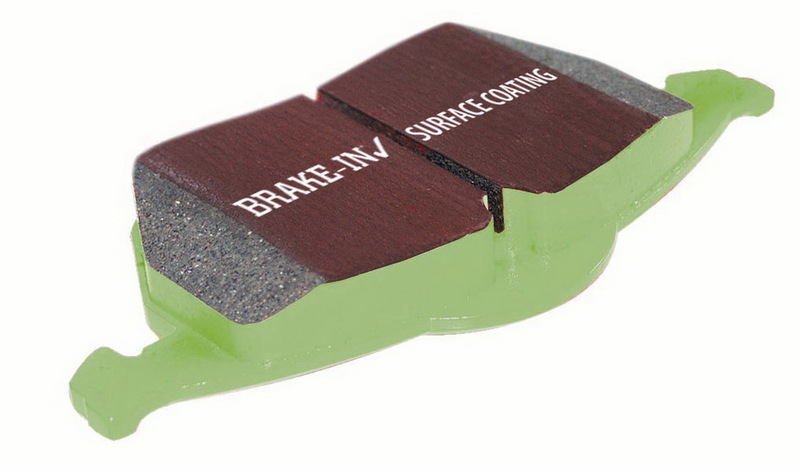 Pads are fully shimmed chamfered and slotted for silent braking and feature the EBC Brake-in surface coating to accelerate pad bed in after install. 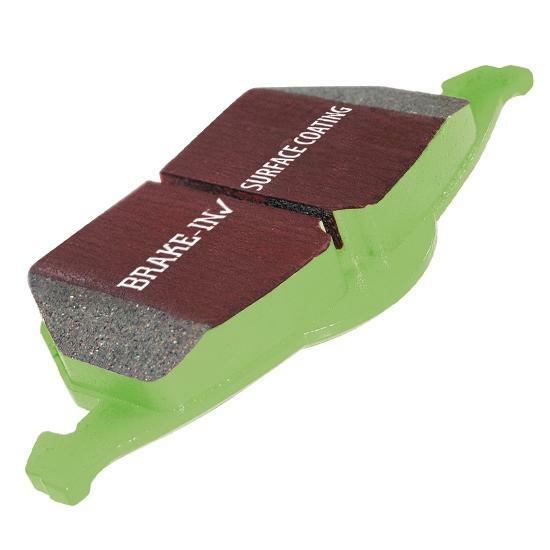 GreenStuff pads are for spirited street driving, for heavier faster cars see EBC RedStuff or for Track and Race use see EBC YellowStuff, BlueStuff or even OrangeStuff. First order with them. We ordered an exhaust system for our son's jeep, best price than other websites! Fast shipping! Highly recommend Autoplicity and will us them again! Autoplicity has great prices and quality products for sale, I'd give it 1/2 star less for slow shipping given the option. Took a while to get out their door, regardless, I would still purchase again, thanks Autoplicity! I was very happy with my service. I had a problem trying to find my part so I online so I called customer service the person I spoke to when I had questions called the manufacturer to make sure it was correct. It was a great experience. Fast and easy checkout process and incredible pricing. Thanks Autoplicity! Autoplicity was very fast and easy to oredr from. prices are great and looking forward to placing future orders. This was the best and cheapest place to order my boyfriends present. We plan on ordering from here again! At first I did not expect Autoplicity to even carry this part, but in fact they did. Placed the order and I received the part quickly. They were the cheapest for the part after searching nearly everywhere. Will order from them again.